Communication Tool: I believe utilizing the ‘Announcements’ board to post any messages pertaining to upcoming course events is a vital consideration. Not only would the instructor be able to ensure that students stay informed and up-to-date, when they missed a class etc., but students would be less likely to forget or overlook certain events, if they are forewarned or reminded of them. Assessment tool: As a student, I have always appreciated being provided guidelines for an assignment, as one’s approach to it becomes far less arbitrary and more focused. 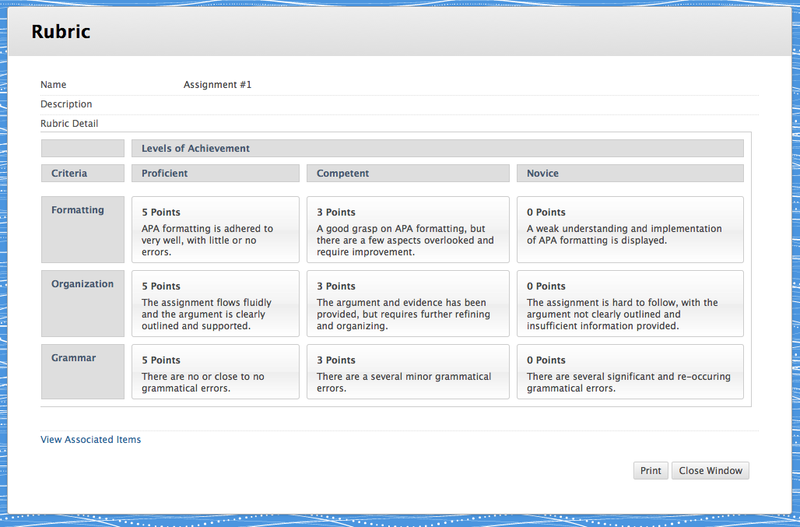 Therefore, I would propose making use of the ‘Rubric’ tool, particularly because it also provides the instructor with the ability to set-up and define what they consider important, which will also make it easier when grading. Content Organization Tool: Some people depend on calendars on their phones or agendas, while others look to those they hang on their wall. Regardless of what format they come in, most students rely on some type of schedule/date tracking method to stay on top of assignments, quizzes etc. 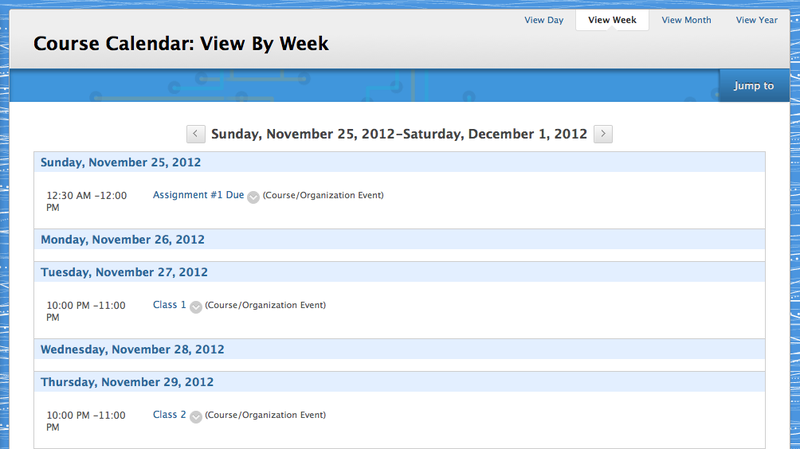 Considering this, I think that utilizing the ‘Course Calendar’ provided on CourseSites would be much appreciated by students, as they could easily refer to it and have the information provided in an easily recognizable and orderly fashion that would hopefully keep them up-to-date. It would also act as a great organizing tool for teachers, so they can ensure they remember what is ahead and visually take note of how things are arranged. Content Tool: One of the most useful components of the discussion boards provided by CourseSites is the ability to ‘Upload Files’. 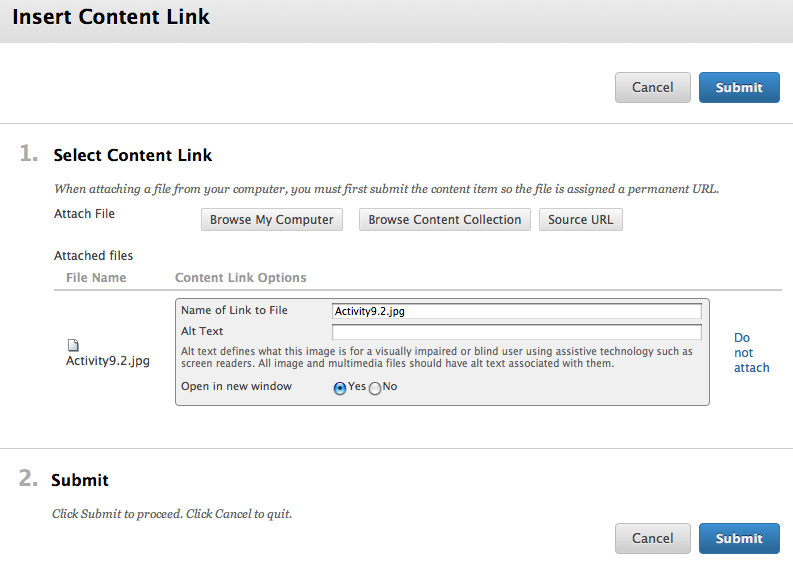 This is a noteworthy tool, as it allows students to not only share content directly created on the site, but also external material; they could just as easily upload a PDF or Jpeg. Teachers would also have the option to include a variety of material, without being overly limited to a certain file type, format etc.